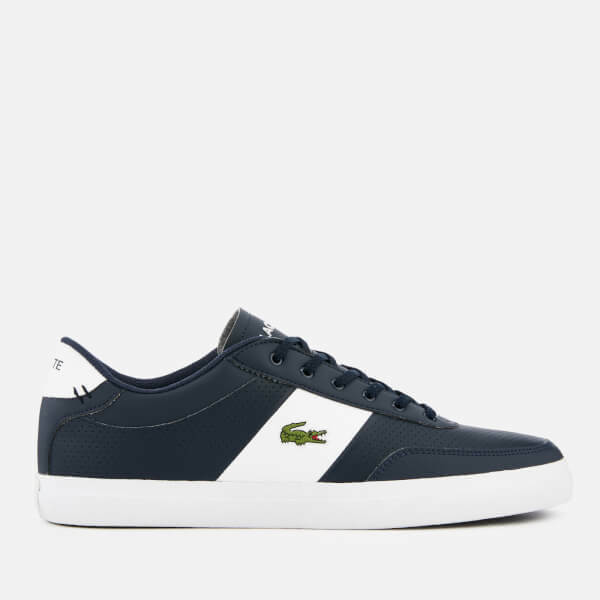 Crafted in navy leather, the ‘Court-Master’ sneakers from Lacoste feature perforated detail throughout to marry style and breathability. 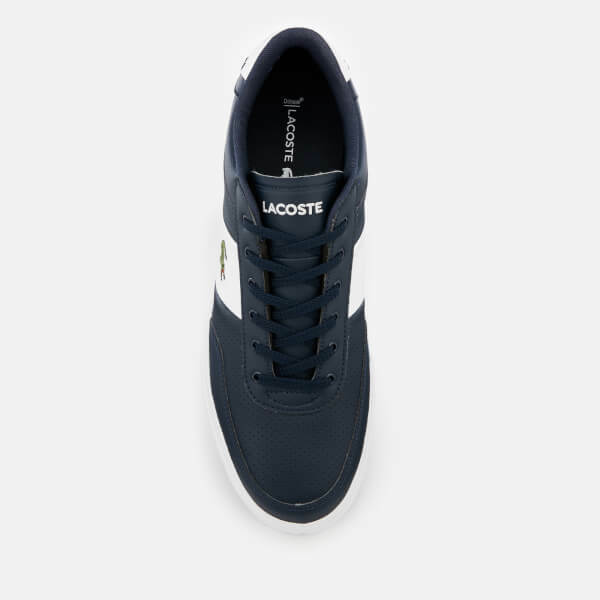 A rounded toe, tonal laces and contrasting white panels at the sides and heel add further detail. 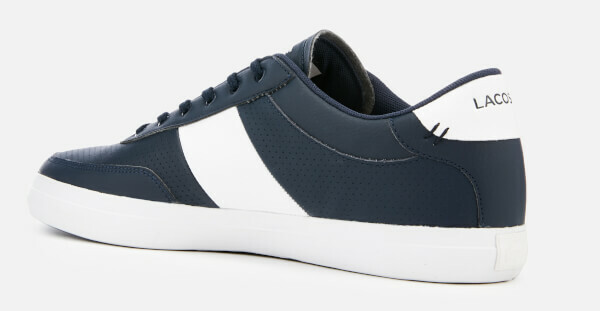 Set upon a contrasting OrthoLite sole for support with every step. 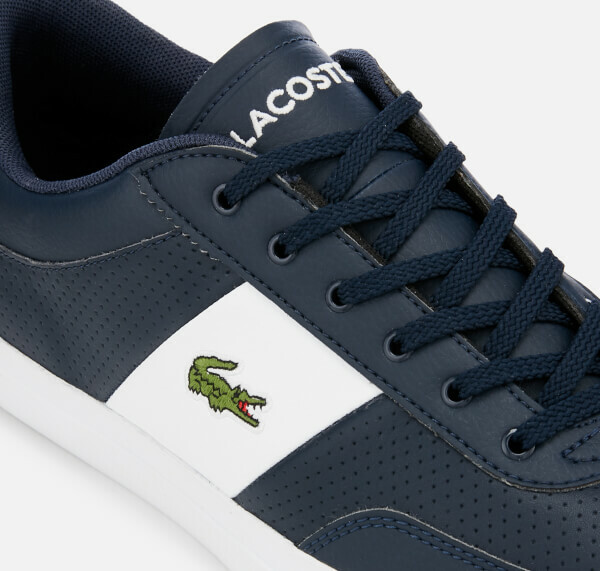 Signature crocodile branding.